While beginning and managing your own business is never easy, the harsh restrictions on the cannabis industry can make working with marijuana particularly difficult. These seven apps will help you stay on top of your game by facilitating proper planning, tracking, and organization for all of your day-to-day business needs. Mint is a financial tracking application which makes managing multiple accounts easier than ever. The app doesn’t allow you to move money around to perform transactions, but it will make a point of letting you know exactly where your money has been going on a weekly, monthly, and annual basis. Mint is designed to help you manage your budget in a user-friendly and consistent way, making it the perfect app to help you maintain your spending goals and figure out where to cut costs. Though people in the cannabis industry may be getting tired of hearing offhanded comments about memory, one thing is certain: you will never forget anything again with Evernote. Described as a virtual filing cabinet, Evernote allows you to store and organize everything that you need to remember through a comprehensive filing system. In Evernote, users can create different folders to store everything from important documents to the location of where you parked your car. This particular program also automatically sinks your stored information to each of your devices, giving you access to everything you want to remember at all times. You know the place where all of the random odds and ends floating around your house seem to end up? Well, Dropbox is that place for all of your pertinent workplace files. There is no easier way for an entire team to share documents, photos, spreadsheets, etc. Never miss out on having the files and information you need right when you need them. Weekdone is a weekly planning app that allows you and all of your employees to track and organize all of the things you need to finish one week at a time. This tool is great for helping employees stay on top of their game while providing an easy way for managers to keep updated without constant check-ins. Managers can assign tasks and provide specific feedback to team members directly through the site. In the cannabis industry, it often seems like people are just waiting for you to slip up or make a mistake. Fortunately, BillMinder has got your back. BillMinder is a bill-keeping application that lets you easily keep track of all of your upcoming and past-due bills. Link the app to all pertinent accounts and it will tell you exactly how much is due each month. This nifty program will also alert you when something is coming up, meaning you always know exactly when you should splurge on some new office swag and when you shouldn’t. It can be difficult to keep track of all of the business cards you acquire at events, especially if you’re going somewhere like HempFest or a High Times Cannabis Cup. Luckily, the creators of LinkedIn have made things a little easier. CardMunch allows users to take a photo of a business card, nearly immediately finds the corresponding LinkedIn page for your new contact, and sends them a request to connect. No need to keep those piles of old cards around, after all. We’re unabashed in saying that the Leafly app is truly helpful for everyone in canna-business. 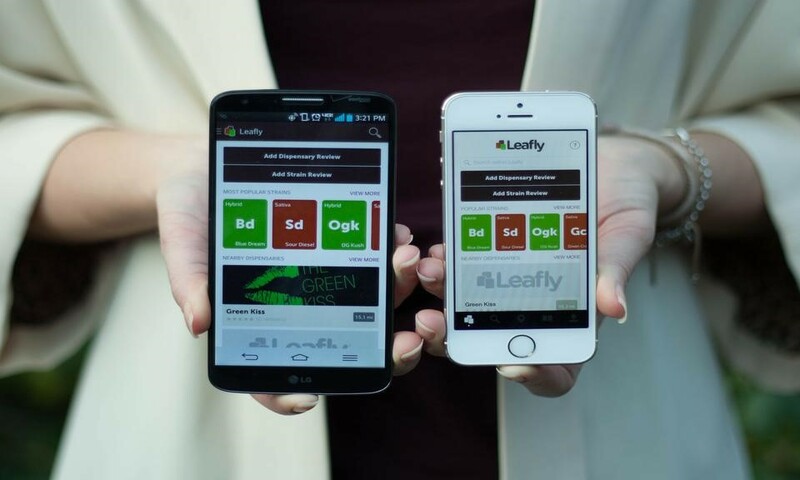 Developed in response to demands from Leafly fans, our app is a strain encyclopedia and dispensary finder on the go. Stay up-to-date on trending strains in your area, get the scoop on the latest cannabis news and recent studies in cannabinoid medicine, and have quick access to strain parings for various ailments and medical conditions.